Credit Repair Law Firm is here to help you take your credit back and secure your financial future! Today we have grown to a nation in search of instant gratification, buy now pay later syndrome. So, without a good credit rating it will be very difficult to get the things you want at the time you want them. Consumer credit has been accepted as a substitute for cash, so that good credit is the key to the future. As a consumer it is to your benefit to fully understand how credit works and every aspect of what is involved when you apply for any type of credit, including the major credit reporting agencies that hold your credit report file. If you understand what banks and other creditors are looking for to extend credit to you then you can monitor your financial future and accept only the best choice. When you apply for credit, lenders want to know about you, your employment history, your income, your assets, and most importantly they want to know about your credit history. A creditor will get a lot of information directly from you by a credit application, then your credit bureau report to verify this information and confirm references and credit scores. Then upon evaluation of your credit application combined with your credit report, the lender will determine your credit risk and make a final decision on whether or not to grant you credit and at what rate of interest they will charge you. Let's take a deeper insight into the factors that can either be an asset or liability at the time of the application for credit - your credit report. What is a credit report? Your credit report is your financial resume, a summary of your financial reliability, containing both personal and credit information. Your credit report is obtained from credit bureaus, also credit providers, employers, insurers, landlords and other enterprises that have a legitimate need for such information. The Federal Fair Credit Reporting Act (FCRA) is recommended read. The benefits of having a great credit score are inarguable. Americans who keep their financial standing in sterling condition are able to save thousands of dollars over their lifetime by obtaining home loans, student loans, credit cards and other forms of essential borrowing at more affordable rates. Still skeptical? Simply review the difference shaving a few points off your interest rates can make. According to some estimates, those who secure a 5 percent interest rate on a $250,000 home loan can save roughly $100,000 more than those with a 7 percent interest rate on the same financial extension. Still, raising your credit score requires hard work and effort, especially for individuals who have defaulted or missed payments in the past. In these cases, Americans who are looking to put their financial future back on a track toward a more comfortable retirement or more affordable lifestyle can pursue a helping hand in the form of credit score tips and solutions that lead to true consumer credit repair. At the Credit Repair Law Firm Chartered, our decade of experience in the business and time-tested credit restoration and credit improvement services can make a real difference for our customers. By reviewing our top products and services for individuals, you can make a change today that can lead to real financial change. Bad Credit Is A Problem That Will Not Disappear... Take Action Today. Our law office concentrates on credit restoration and verification. We are proud to assist and help thousands of people to successfully overcome their credit problems. As a result, our clients have been able to obtain lower interest loans, new credit cards, reduced rate mortgages and new car loans. We can help you too. Has An Outstanding Removal Success Rate. There Is A Solution to Credit Problems... And You've Taken The First Step. By asking for our help, you've realized that bad credit is more than just the embarrassment of being rejected for a credit card, a lease, the purchase of a new car or even a department store charge account. Bad credit will cost you thousands of additional dollars over the years because if you cannot qualify for standard credit terms, you pay higher interest rates (which is money out of your pocket) as a result of the negative items on your credit report. A consumer file exists on every individual that has ever applied for or received credit. There are three major credit reporting agencies that collect, retain and distribute as much negative information as they can find. That negative information can remain on your credit report for 7 to 10 years and will prevent you from obtaining credit and achieving your goals and desires. The law states that negative information of any type that cannot be verified must be removed from your credit report regardless of the initial cause of these items to appear on your report. According to Consumer Reports, 48% of all credit reports contain errors. The credit report improvement process is different for every client and depends on the amount of negative and incorrect information listed on the credit report. However, some negative items have been removed in as little as 4 months. You may provide us with three current credit reports or we will obtain them for you. 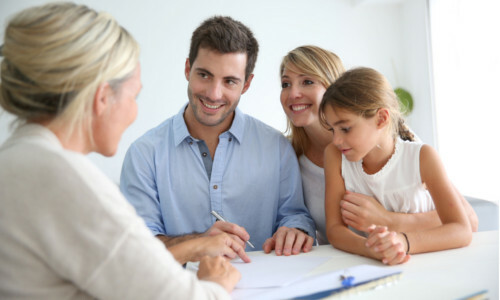 Although you may endeavor to repair your own credit, the process is cumbersome and requires dedication and knowledge to avoid creating any further complications. Each month our office will conduct a credit verification audit on each credit bureau report, analyze the information and address the credit concerns on each report. The total monthly cost is only $99.95. There are no additional fees or costs to you. Reminder: Credit reporting agencies are in business to protect their interest. We are in business to help and protect you. .
Credit Repair For Couples Couples who are looking to jointly access credit for a major life purchase, such as a new house or car, can benefit from credit repair as well. Many couples are held back.. Benefit from our Credit Repair For Individuals package In some cases, incorrect credit report information could be holding you back from realizing the benefits of a great credit score. If this des.. Under the Fair Credit Reporting Act (FCRA), negative items such as bankruptcies, foreclosures, judgments, late payments and liens may be legally removed when the credit bureaus are unable to verif.. There are many people who have in the United States enormous problems to keep their good credit score in standard. In fact almost every American had at one point of their life credit problems and ..
Apart from the entire financial crisis it brings, the individual have to go through a lot of emotional distress as well. But it is in the best interest of the person filing to be able to regroup a..
You see their ads everywhere in newspapers, on television and the Internet, and they all say the same thing. All of them promise to repair your credit report. If you know you have bad credit, you ..
We have helped thousands like you . . . We Can Help you too! You’re the best! You got me approved for funding even when my personal bank turned me down due to bad personal credi.. I ran my credit and all 3 scores are in the seven hundreds. We do not have to wait for the 3rd credit bureau to send..
After getting laid off last year, I managed to get behind on a number of bills including my mortgage! All of this h..